With the holidays now in full swing, rarely do we find a person who doesn’t experience some type of added stress. “Joy to the world” is sometimes difficult to achieve as we frantically shop and make arrangements to accommodate the arrival of friends and family. Some of us are reminded of those that are no longer at our table, and for others, this can be a lonely time for many reasons. Even extreme happiness can be stressful! 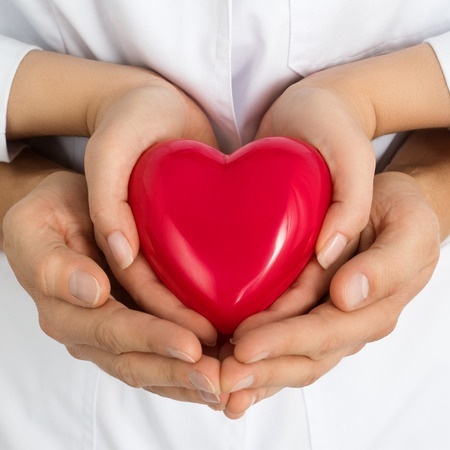 No matter your situation, please keep these recent articles in mind prompting you to protect your heart – both physically and emotionally. Intuitively we all know that our hearts work very hard during extreme physical effort. Most of us feel similar strain when we are under severe emotional upset. The INTERHEART Study, a huge global investigation of more than 12,000 people who experienced their first heart attack revealed that anger and emotional upset doubled the risk of an attack. And get this – engaging in heavy physical activity when highly emotional more than tripled the risk! Beware of arguing with your spouse when you’re dragging your Christmas tree into the house! Last Monday Science Daily shared an article written by a cardiologist from Houston Methodist DeBakey Heart & Vascular Center. See that here. There is a phenomenon called “silent heart attack” that primarily strikes women, generally in their mid-50’s to mid-70’s. As we race through these December days striving for perfection, it may be easy to ignore the more subtle symptoms of this stealthy condition. Often the stress of the season may be compounded by another traumatic event like a death in the family, an auto accident, money issues. Ignored, this condition can be fatal so please listen up. Although women are primarily at risk for this condition known as stress-induced cardiomyopathy, it can also be experienced by men. Stress hormones actually shock the heart, causing the left ventricle, which is the main pumping chamber of the heart to malfunction. Since heart problems in women aren’t as obvious as those men experience, I thought it might be helpful to offer a list of symptoms to be aware of right here. Please share this article with those women you love. Discomfort, pressure, heaviness or pain the chest, arm, below the breastbone or in the middle of the back. Sweating, nausea, vomiting or dizziness. Fullness, indigestion, tightness in the throat area. In my recent book Heart of Perfect Health, I discuss with renowned medical doctors and surgeons the importance of heart health and how disease is created. We also offer instructions on ways to maintain your cardiac health. Tips are given on various cutting-edge testing procedures that will reveal your own heart’s condition along with complete instructions on a heart healthy diet to provide you with vitality throughout this year, and for years to come.